Smithos was the assistant to Burnzak, the dictator of Rigel 7. He tried to stop Apu and Kang killing his boss, but failed. 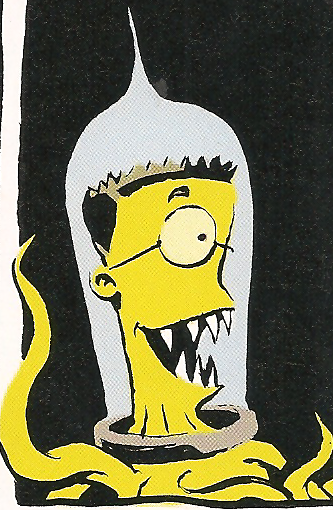 Just as Burnzak resembles Earth's Monty Burns, Smithos appears to be a Rigelian counterpart of Burns' assistant, Waylon Smithers. Modified on May 5, 2017, at 18:27.